As we left Egypt and headed for Israel, all of us were eager to arrive, even though the news of Hamas militants firing rockets into southern Israel was being watched on the news. Our port of call, Ashdod, is just north of Gaza, so the cruise line and our tour group were paying close attention to everything concerning safety. Everyone was assured we would be secure, and having been to Israel before, I was eager to return to see our friends, beauty and history once again. The purpose of my blog posts is to discuss disability issues and to encourage disabled people to get out and live life. 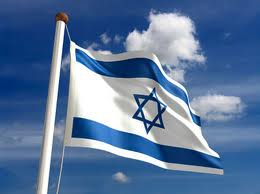 However, because of what is happening in Israel right now as I am typing this (Hamas militant terrorists set off a bus explosion in Tel Aviv) I am going on a brief rabbit trail to express my personal opinion against terrorism and support for Israel. For those of you who know me, I am a Christian, and I firmly believe that Israel as a nation has the right to exist and protect itself. And now on to Ashdod. When we docked in port, we were met by our guide and driver like always. 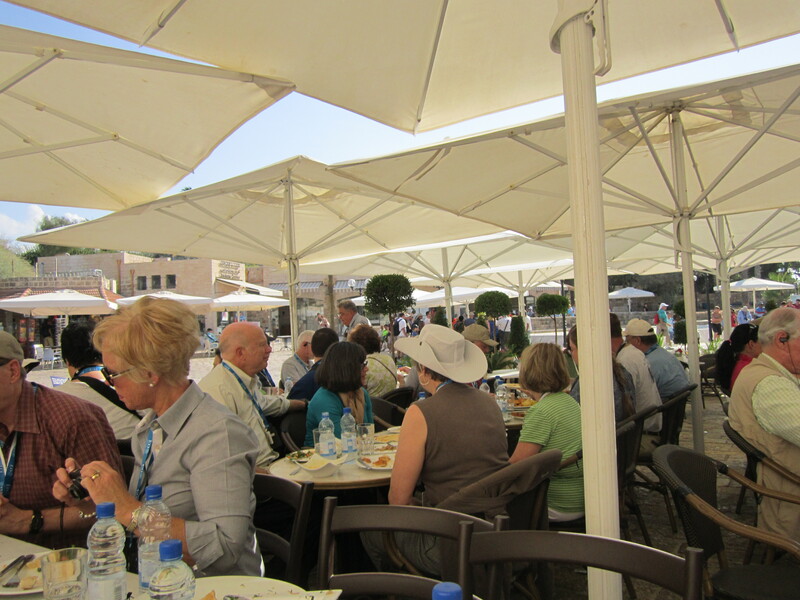 We drove to Old Joppa, toured the city for a bit, and then met the rest of our group for a wonderful outdoor lunch. The many and varied foods were delicious, but I think one of my favorites is always the warm pita bread and hummus. 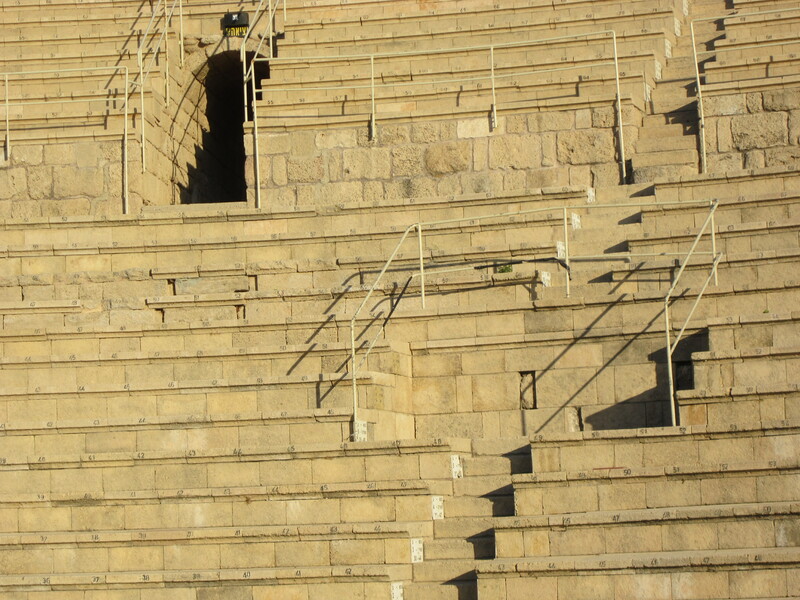 One thing to mention about rolling around in a wheelchair at the ancients sites – go slow. Most places are ramped or level but are not what I would call smooth. Cobble stones that are 2000 years old tend to be a little on the bumpy side. But taking things slow and easy make it very doable. And let me add here that other people in our group were eager to assist me wherever they could. So anytime something looked like it might prove difficult to maneuver, I had a friend helping me before I could even ask. If I worried about always being on flat smooth surfaces, I would never leave home! And who wants to live a life like that? After lunch we drove to Caesarea. 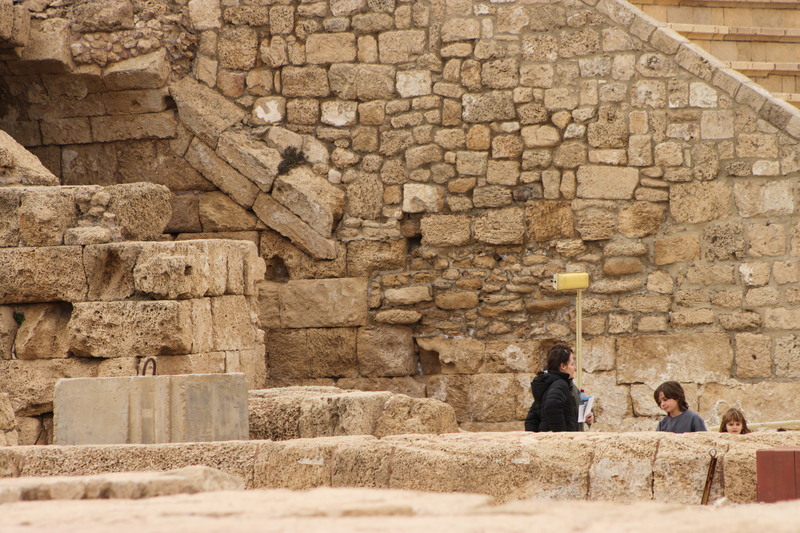 We visited the ancient portion of the city that has been excavated and is filled with many artifacts. 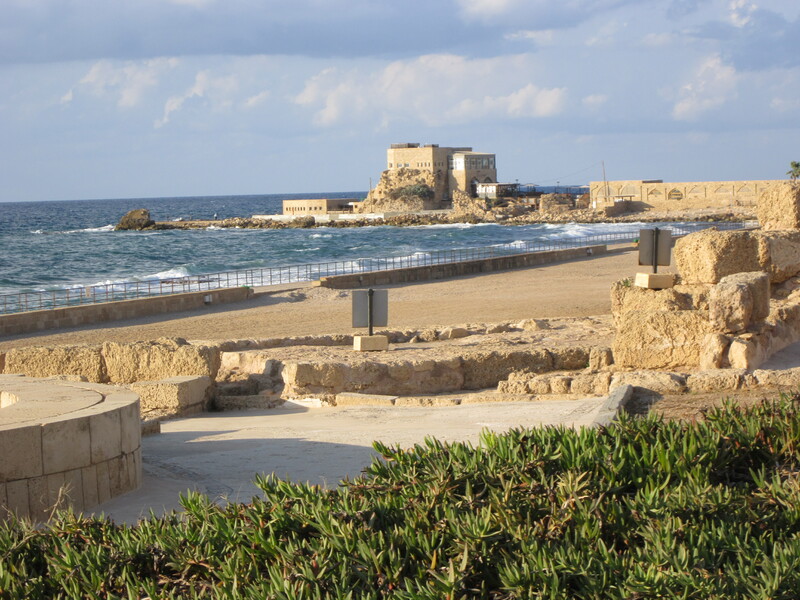 Caesarea was built by Herod the Great as a port city about 22 – 10 BC. 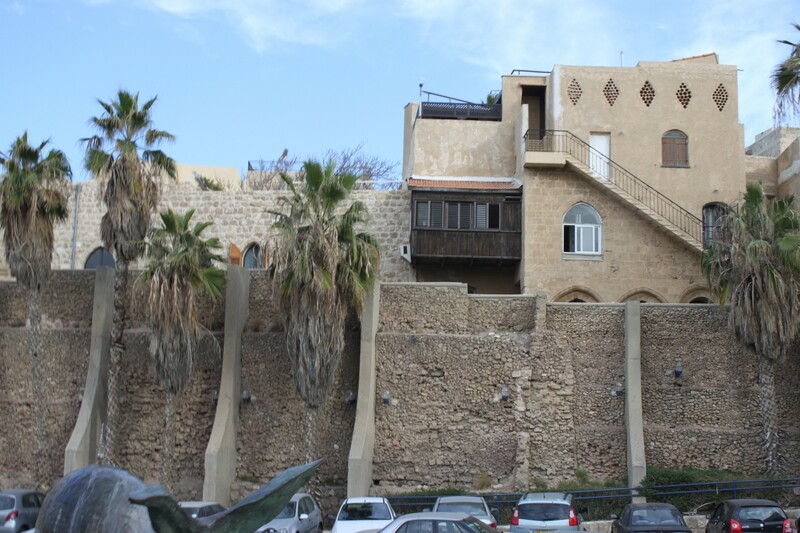 Herod the Great built this man-made harbor out of jealousy over the natural harbors in Egypt. He wanted something to rival other sea ports and give him excellent connections to all parts of the Mediterranean world. We saw ancient ruins of the port, public buildings, a theater, an amphitheater, hippodrome, two aqueducts, a colonnaded street and a temple dedicated to Caesar. 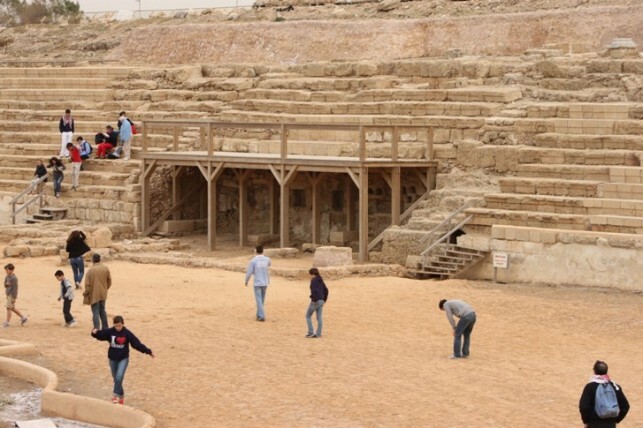 The theater here seats about 4,000 people and is the first thing you see when entering the archaeological park. Looking out to sea, the hippodrome is on the right. It was fun to look at it and imagine chariot races like most of us are familiar with in Ben Hur. The disciple Peter preached here and this is where the apostle Paul was in prison for two years. 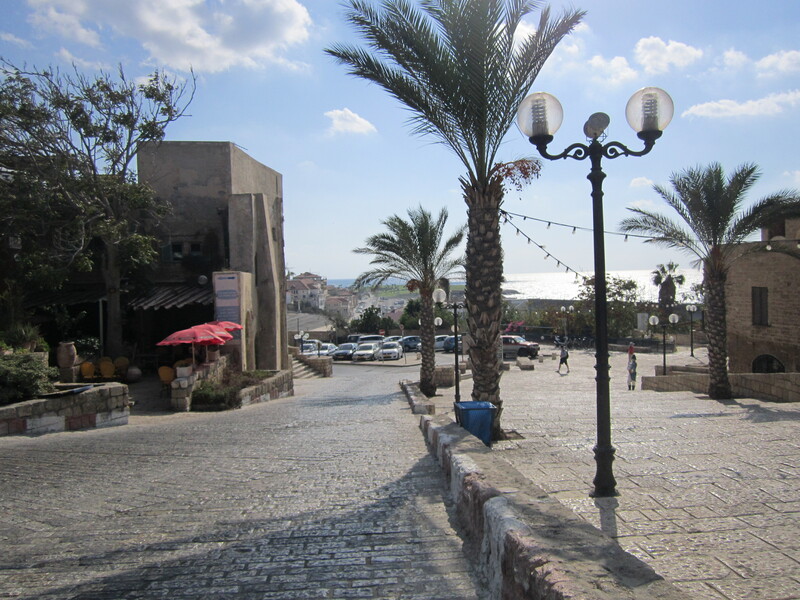 When we left Caesarea we drove to the Moshav (village) Yad Hashmona. 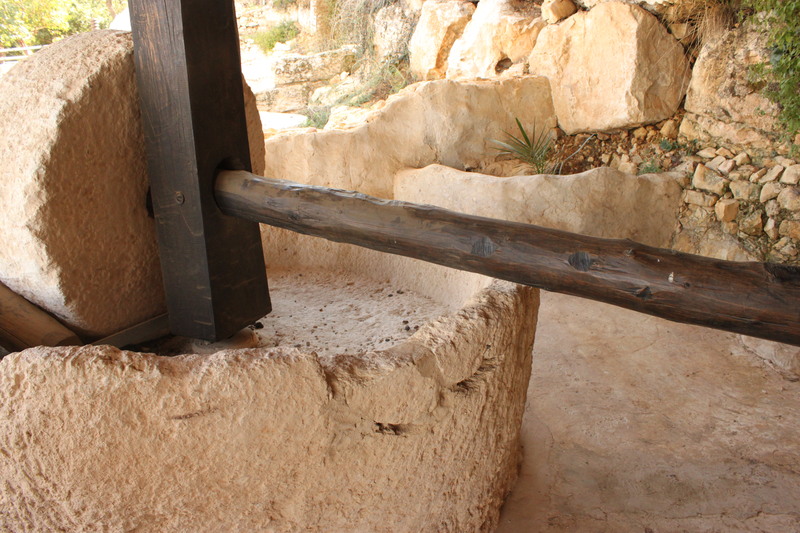 It is located in the Judean Hills just a few miles west of Jerusalem. The scenery here is beautiful and even has a view of the Mediterranean coastline. Here we were taken on a tour through the Biblical Gardens. 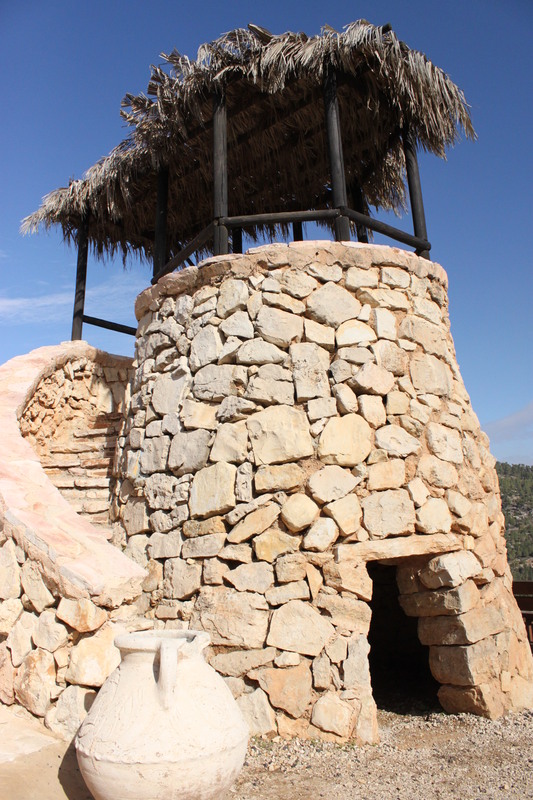 This was like stepping back into biblical times and seeing many aspects of that life including an open air synagogue, watch tower, olive press, grape press, threshing floor, burial cave, a Mikveh (ritual bath) and many varieties of fruit trees and beautiful flowers. Here Wendy and I also got to reunite with some very dear friends from our last visit to Israel. When we left here we drove back to the docks for a late dinner aboard our ship. After a long day of touring we were eager to get to bed. Jerusalem was our destination in the morning.